I snatched this book up for one reason alone – my son is thirteen and has begun the reeling adolescent years. I was curious what I could learn from Mark Gregston about the months and years ahead. I wasn’t disappointed. If you have a child or children approaching the teen years or even already in the throes of those years, this book is a must read. It will help you not only to understand your teen but to understand yourself and how to parent in a way that will lead to a better relationship with your teen. The book begins by exposing how different this generation is from our own. Comparing our own childhood to our children’s is not really possible. 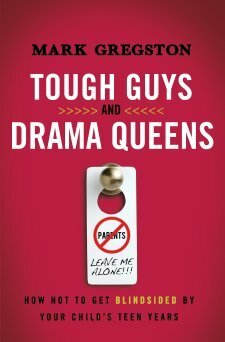 The remaining 2/3 of the book deals with very practical issues of parenting. It deals with the parenting practices to avoid and then more importantly, the parenting practices that really work. I found this book extremely practical and easy to read. The pages are filled with stories of actual teens and their struggles with their parents. Just hearing these stories helps parents realize that they are not alone in the problems they face at home and gives hope even in the worst of circumstances. What’s the bottom line in issues with teens? Work to build relationship. Gregston does an outstanding job of giving us tools in order to do that as parents.